LOOKING4ANCESTORS: Free Webinar this Thursday: What's New in Genealogy? 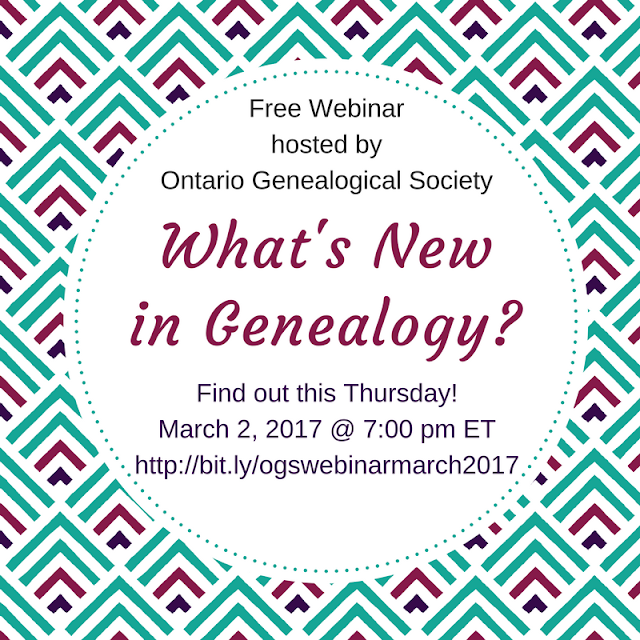 Free Webinar this Thursday: What's New in Genealogy? Did you miss attending RootsTech this year? Want to know what's going on in genealogy - the latest technology, developments, innovations? What's new in genealogy? © Copyright by Kathryn Lake Hogan, 2017. All Rights Reserved.